Make chest flat.Make sure you have checked the following size chart in the product description before purchasing.Please order it according your chest measurement.Besides, for items that are of a Slim-and-fit style, the actual size is likely to be tighter than the standard size. 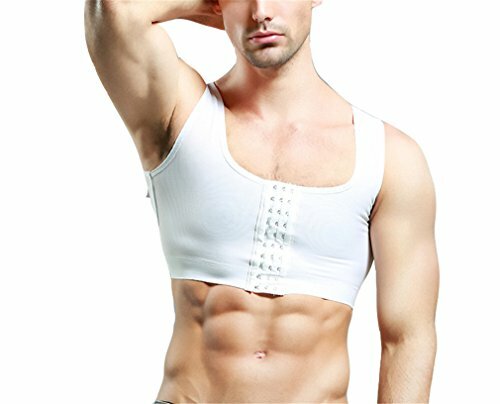 Designed for men suffering from Gynecomastia,Transgender,FTM,Tomboys,Ts,Lesbians,or stage show supply. Get your self-esteem back! Lightweight: Breathable and soft to the skin material. Hidden: Seamless fit into your favourite t-shirts, sweaters or tailored business suits comfortably. If you have any questions about this product by Yamiyaha, contact us by completing and submitting the form below. If you are looking for a specif part number, please include it with your message.